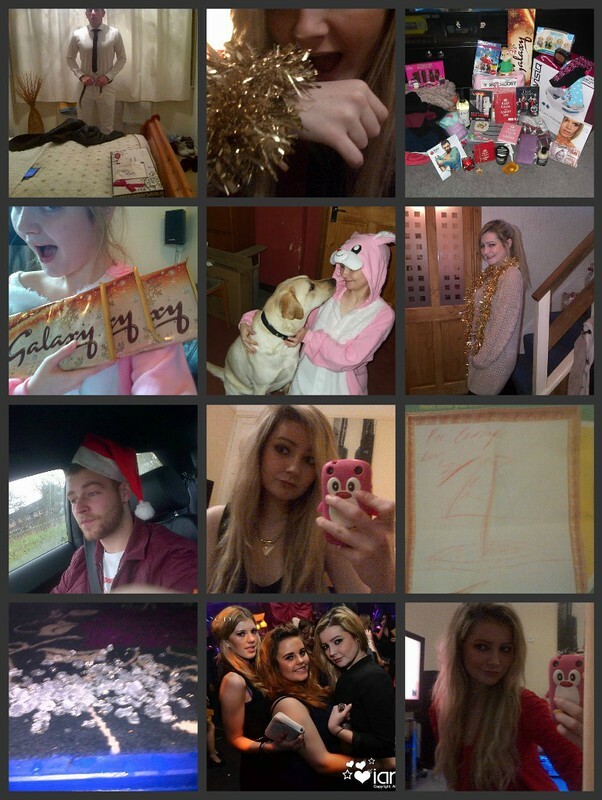 Caught Jamie while he was getting dressed, tinsel on my wrist on Christmas Eve, totally spoilt this Christmas, yum 3 huge Galaxy bars, Brody & me in my bunny onesie, Christmas Day, Dan trying to be Santa, just before going out, a picture my friend drew for me, took all the ice out of my drink, photo in a nightclub, a photo just before going out. I hope everyone had a good Christmas, i definitely did, i love spending quality time with my family. Lots of laughs, food, and just general chit chat.. always seem so much lovelier at Christmas though! I think i've managed to eat my body weight in food too, literally good food seems to be everywhere i turn! Despite the fact it's such a jolly time of year, i've been the total opposite! I've been consuming copious amounts of alcohol and just feeling so low, i'm really hoping 2013 will just magically take away all my problems though... fingers crossed i guess! I swear this is the tastiest time of the year! glad you had a nice christmas! the holidays wouldn't be right without all that eating!! here's to 2013! I hope 2013 is better for you, hugs.